Another successful investiture was executed by the Knights in Council of the Sacred Medical Order of the Knights of Hope under the leadership of the Order's Grand Master, the Chevalier Charles McWilliams. 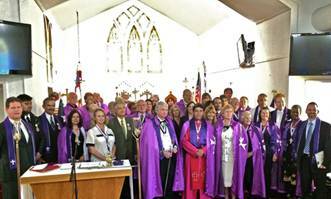 This time, the investiture was held at the Saint James House of Prayer Episcopal Church in Tampa, Florida, in the United States on the 17th of November 2013. Several members and officers of the Order flew in from various US States and neighbouring countries to participate in this event, with a number of postulants joining the Order during the same ceremony. 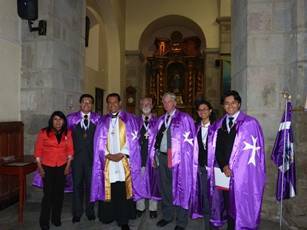 The investiture also saw Padre Orlando Bustamante, the Dean of the Cathedral of Ibarra in Ecuador, conducting the religious ceremony and giving Blessings to the new Deacons knighted into the Order. 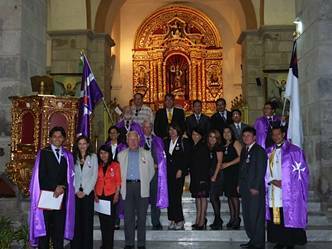 The Sacred Medical Order of the Knights of Hope is a fully fledged member of the United Grand Priories of the Hospitaller Order of Saint Lazarus and is in the forefront of the growth of our Lazarite Grand Priories in Central and South America and the Caribbean. 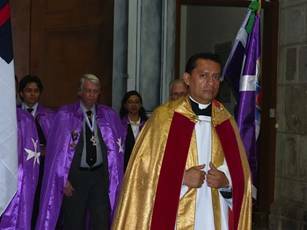 Indeed, Padre Orlando Bustamente is also presently working very hard in order to finalise the necessary structure for the consecration of the new Grand Priory of the Order in Ecuador, which is envisaged to take place in June 2014.